Laredo's directions take you to the XIT Ranch Motel, which sounds almost as classy as it actually is. It's across the street from an Econo Lodge that's $10 more a night. 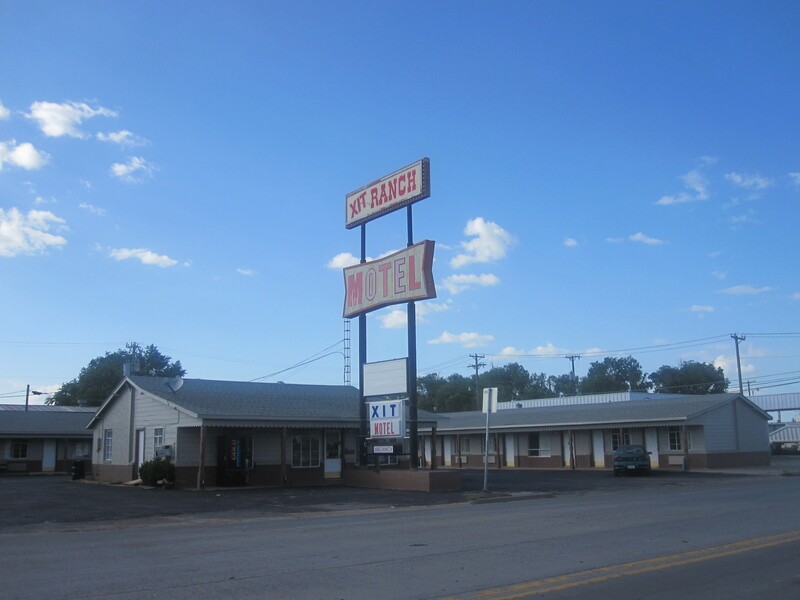 The motel clearly has seen better days and is at least fifteen years out of retro style. But it has a screen door that proudly declares ICE MACHINE and dingy generic COLD DRINK vending machine. Keeping in theme, faded red letters crookedly spell out OFFICE. You see Laredo nursing a Coke on the bench outside the OFFICE as he waits for you. He gets up when he sees your out of state plates and waves. Is he nervous? Jittery from the Coke? "Hi," he says, shouldering his laptop bag. "I'm Phil Laredo. You must be Maya? And Professor...?" He leaves it hanging, and will shake hands awkwardly through the window. "Do you want to park here and we can talk in the Subway," he indicates the sandwich chain across the road, "Or go somewhere else? Dalhart isn't exactly a metropolis!" He gives a small chuckle that dies quickly. Peter, what happened the last time you had to interview someone alone? Maya, did all of you ever take any family vacations as a kid? Peter's face clouds over briefly with concern as he ruminates on his last time interviewing anyone. He'd been so sure of the supernatural nature of his interogee that when it turned out to be just a normal human with some serious mental illnesses he wasn't prepared to control the situation. He was overpowered and there's a deranged individual on the loose because of his hubris. Also his right knee now sorely aches in cold weather.